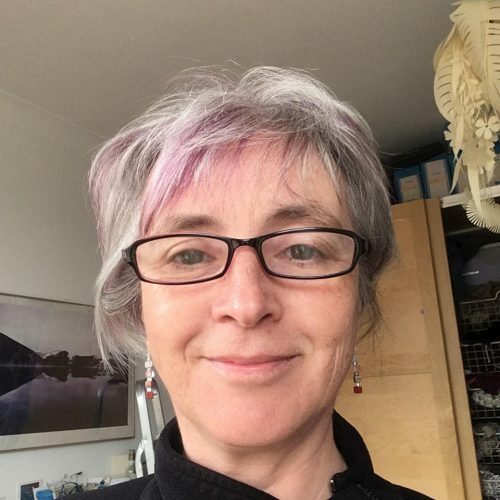 I have participated in International Facilitation Week virtually for several years by presenting at (and occasionally helping to organise) the Virtual Facilitation Unconference. Though there isn’t a virtual conference in 2016, there are some really interesting virtual events scheduled globally – see the programme here. This year, though, I was delighted to have the opportunity to be a guest speaker in a live, face to face conference in Kraków, hosted by Wszechnica, a consultancy spin out of Jagiellonian University. Wszechnica have a strong emphasis on reflective practice, and have been devoting substantial energy to professionalising facilitation and coaching in Poland. I presented an overview of the functions of facilitation, including a short demonstration of Focused Conversation (with 100 people!). I then ran a 1.5 hour Consensus Workshop to demonstrate Technology of Participation methods. 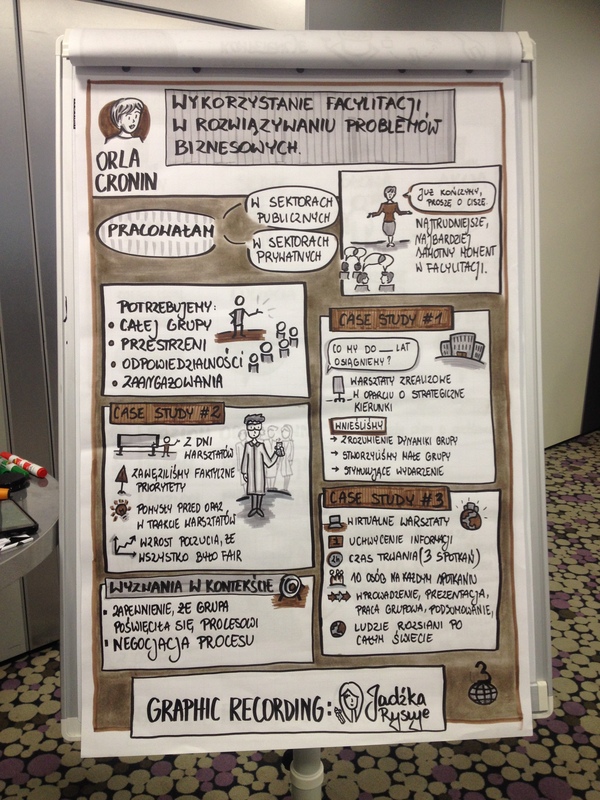 It was a really lively and engaging event, with keen delegates and a talented graphic recorder. Even the necessity to wear translation headphones and speak slowly didn’t mar the animated atmosphere. I even learned how to pronounce Wszechnica during my 2am flit from Katowice Airport to Kraków! And real biscuits definitely have an edge over virtual ones.